Black Arts Racing driver Dan Wells has a go on one of Sideways Driving Club's simulators. Vroom Vroom: Ever wondered what it would feel like to be an F1 driver careening your way through the most exhilarating courses in the world? Well, you may not be taking to the racetrack like Fernando Alonso, Sebastian Vettel or Daniel Ricciardo, but visit Sideways Driving Club and you’ll get pretty close. 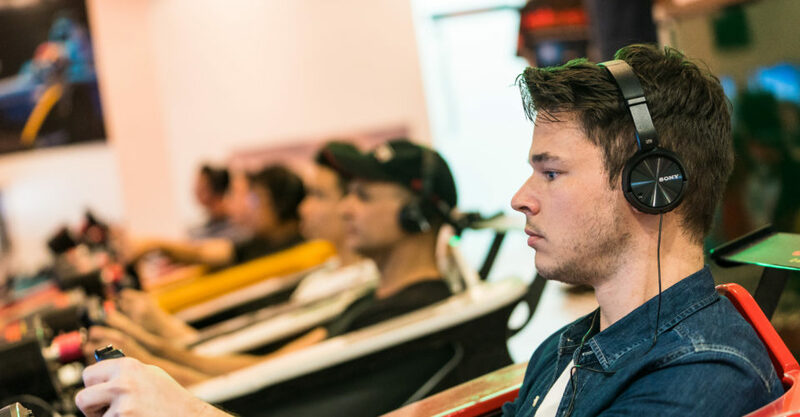 Tucked away in an unassuming building on Peel Street, Sideways Driving Club is basically every aspiring racer’s (or gamer’s) dream. Although the club has been around for some 10 years, it only moved to its current location earlier this year, making it even easier for racing fans to get their fix. 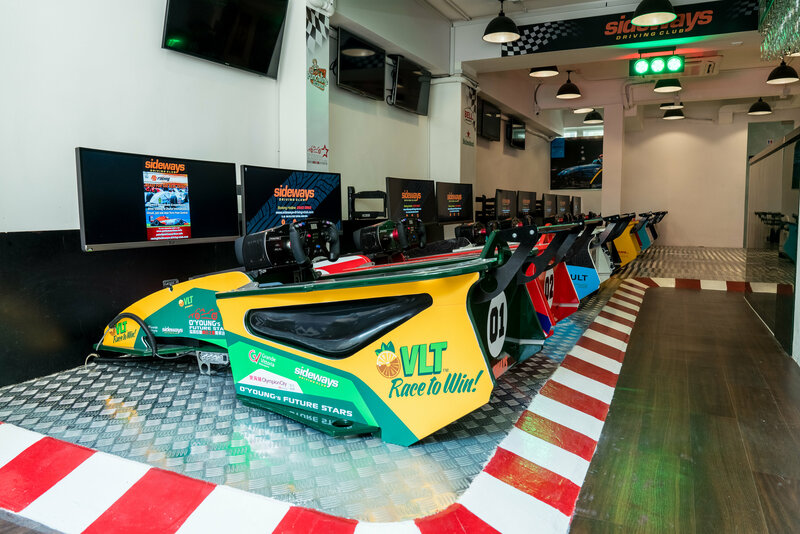 Inside, 15 racing simulators give you the full F1 driving experience – without the chance of crashes and bodily harm. The simulators use state-of-the-art hardware and software to give a true-to-life experience. The body of the simulator is designed to mimic a real race car. It’s a cabin is a little wider than the real thing, but it’s slung just as low and offers the (apparently all-too-real) experience of having the steering wheel get in the way of your vision of the track (at least it did for me!). I slide into one of the simulators, slip on a pair of headphones, and am quickly racing another competitor. For my first time, I’m driving an entry-level Renault Super Clio, but there are a range of cars and tracks to choose from. Within seconds, my adrenaline’s pumping as I focus on getting the right moves on the break and accelerator to negotiate the track’s hairpin turns. On straight runs, I put pedal to the metal and ruthlessly bump the competition out of the way to overtake. Over the headphones, all I can hear is the constant revving of the engines and, each time I finish a lap, the voice of my “team” telling me my lap time. It’s a real rush. This is definitely not your average video game. You know, the kind of racing simulator you find at gaming arcades. And it’s no surprise, really. I find out later that the simulators are apparently so lifelike, that real racers use them regularly as part of their training. Of course, you don’t need to be a real aspiring racer to enjoy the experience. Sideways Driving club hosts all types of events, from charity rallies and kids’ parties to corporate functions and birthdays. There’s a full-stocked bar and international catering available, so even those that don’t race can enjoy the fun.